SMN report: The 1:32 scale Hawker Tempest from Special Hobby is an excellent kit of a late-war British machine. The Tempest first flew in September 1942, first entering service in 1944. The Tempest was used as primarily as a low-level interceptor, particularly against V-1 flying bombs. As a ground attack machine, Tempests flew against all sorts of ground targets. The high-speed Tempest – it could hit over 430 mph at low level – even attacked newly-developed jets, such as the Messerschmitt Me 262. "Special Hobby makes injected model kits in the following product lines: Special Hobby (aircraft), Special Armour (military vehicles) and Special Navy (ships and submarines). "The CMK product line makes resin accessories, models and figures, not only for Special Hobby, but also for kits of other brands. "Right now, Special Hobby has about 40 full-time employees who try their hardest to fulfill the wishes of customers around the world. Every year the company visits the Toy Fair in Nürnberg, IPMS expositions in the USA, and we also go to shows throughout Europe." A glance at the company's brochure shows that it includes some interestingly rare beasts, such as the Vickers Wildebeeste and Potez 63-11, (below) either of which could be modded to create tasty sci-fi style steampunk machines. Click here to visit Special Hobby. 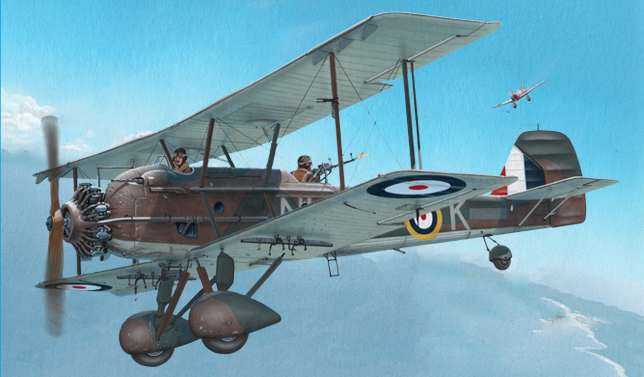 *Click here to view Tom's video of the Fokker Triplane which has a harmonious sound track!